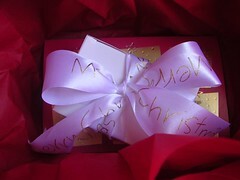 Do you want to send a special gift to a loved one or a colleague? Are you in another country? Or are you short on time? My free gift service is your perfect solution! 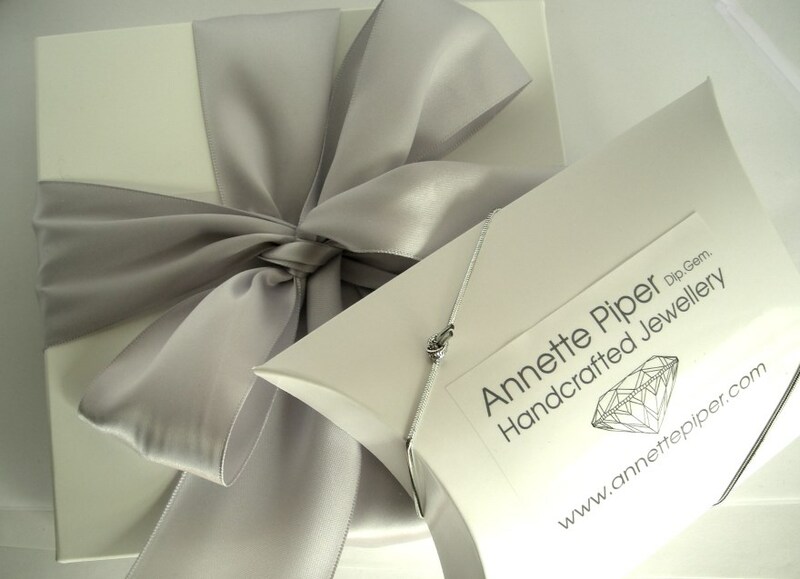 Imagine opening a box to find it tissue lined (in vibrant purple) and nestled within it is a white gloss box (either tied with luscious satin ribbon or lightly sparkling silver cord) and a card inscribed with a special message. 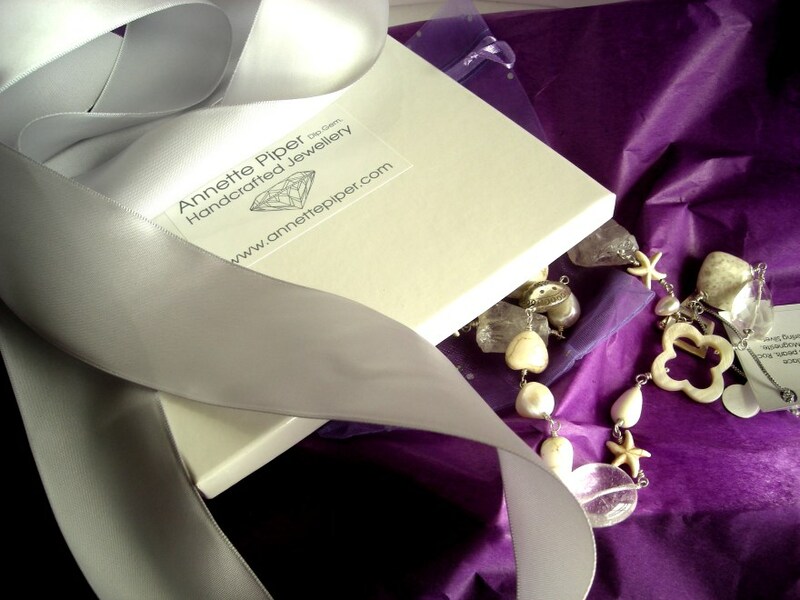 Open up the box to find an organza bag and then in the organza bag a beautiful piece of jewellery! The recipient of your gift is going to be thrilled! All the work is done for you and you don’t even have to leave home to organise it! And this service is FREE for destinations within Australia *. Items within Australia are posted by tracked parcel post to the recipient for safe delivery. Gift cards – handmade cards made by local photographers and artists are also available to go with your gift at no additional charge, making your gift even more special. Should you not find the exact piece of jewellery that you are looking for, I can design an item especially for you based on your ideas (sufficient lead time will be necessary to ensure stones/pearls are available). Alternately a gift certificate to the value you nominate is available for purchase, sent in the same manner as a piece of jewellery. To take advantage of this free* gift service, please leave a message during checkout or email me at annette@annettepiper.com . *Normal postage charges still apply for orders under $100 and international deliveries.